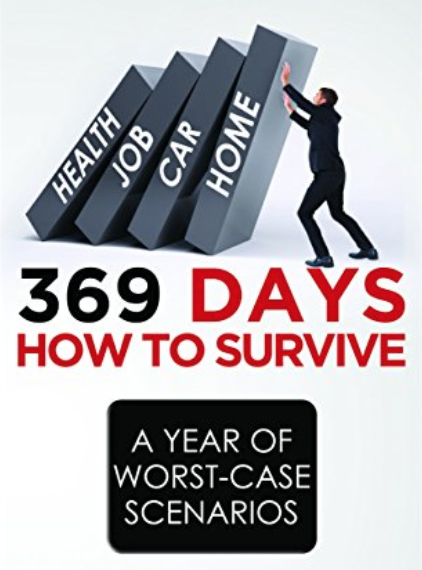 In 369 Days (2009-10) I had a heart attack that should have killed me, lost my job during the economic recession, had our family vehicle repossessed, and finally our home was foreclosed. All in a year. A decade ago, in May 2009, I had a heart attack. While 10 years have passed, there are times when it seems like yesterday. Then I reflect on what transpired after that cardiac event, and how those events have left a mark on my life, as well as the lives of loved ones and friends. The heart attack, and the subsequent losses that took place over the 369 Days, are a blessing to me. Yes, I’m thankful it happened. I was on a path to self-destruction. I was burning the candle at three ends, which means I wasn’t taking care of myself, and I wasn’t putting my needs over the needs of work, and life. If that cardiac event didn’t happen, there’s definitely a good chance that I would not be here today writing this blog post. I’d be long dead by now. My artery was 90 percent blocked at one part, and 60 percent blocked at another part. Over time that would have been closer to 100 percent, and based on that artery, chances for survival would be very low. It was the ultimate wake-up call. It forced me to STOP. Over the past decade, I’ve (slowly) learned to approach life differently. The things and situations that I let impact me, I’ve thankfully created boundaries where those issues no longer affect me. Did I make these changes instantly? Not at all. I’m still making changes. I’m further along than I was earlier this year. Next year, I’ll be further along than I am now. I keep growing to improve myself. Boundaries are crucial my friends. (Re)Learn them.